Like the Sheats-Goldstein Residence, the Elrod Residence in Palm Springs is another fine example of Lautner's use of concrete. It too, showcases his design philosophy of having the ceiling be a reflection of the roof. Completed in 1968 for interior designer Arthur Elrod, the home has become an iconic example of desert modern architecture. A brief tour of the Elrod House (with French narration). The black slate floor and massive dome combine to counteract the brilliance of the desert sun. At the same time, they help draw attention to the color and brightness of the landscape beyond. 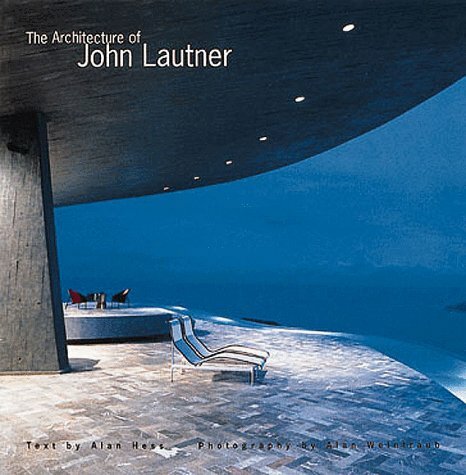 Lautner set the house into the hillside in such a way that the frameless floor-to-ceiling glazing echoes the infinity edge pool - blurring the line between the natural and built environments. The way he incorporated natural rock outcroppings into the design of the house furthers this effect. A slideshow of architect John Lautner's Elrod house in Palm Springs California. The distinctive dome is not really a dome at all, but rather a shallow concrete cone. A massive tension ring at its base supports nine concrete beams which radiate from its central point. The triangular areas between the beams become either raised slabs with glazing or, on the north side of the home, are glazed in their entirety. As a result, the massive roof appears to float weightlessly above the room. Operating the glass curtain at the Elrod House. While you might not have been aware of the name or even the location of the Elrod House, you likely have seen it before. It features in a prominent scene in the James Bond film, DIAMONDS ARE FOREVER (1971). The "Bambi & Thumper" sequence from DIAMONDS ARE FOREVER. 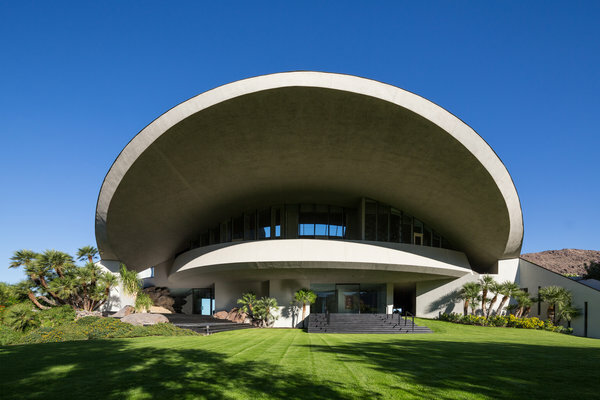 Designed and built for comedian Bob Hope and his wife Dolores, the Hope Residence is also located in Palm Springs at the top end of the same street as the Elrod House (Southridge Drive). Although it was completed in 1979, the design of the home was actually begun in the early 1970s. It was originally conceived by Lautner as a structural concrete shell that echoed the topography of the ridge on which it was to be built. However, at the Hopes' insistence the structure was changed to steel with wood sheathing - which was then covered with cementitious plaster (later clad in copper). Amateur video of the view overlooking the Hope Residence. 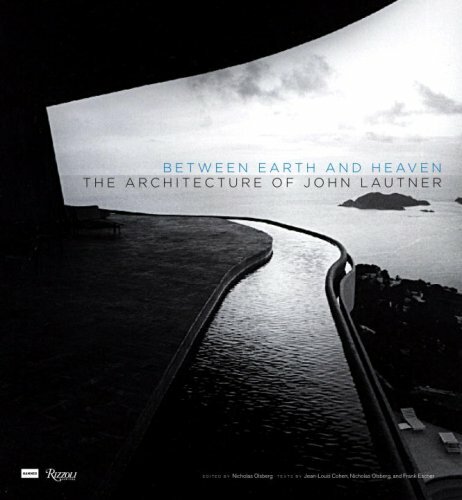 The altered structural system was not the only change to Lautner's original design. A number of revisions instigated by Dolores Hope were made to the interior. These changes were apparently more in the direction of conventional design rather than Lautner's more imaginative, sculptural leanings. Despite this, the home remains one of his largest at just over 22,000 square feet - all of which is housed under that enormous shell. The overall effect has been compared to a bird sheltering its young under its wings. It has also been described as a large mushroom or even a volcano. The large open air oculus at the apex of the roof further reinforces that image. Amateur video of the Hope Residence grounds. 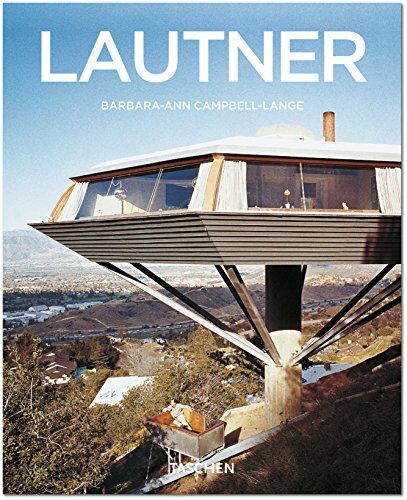 Unlike the other Lautner-designed homes I've written about, as far as I know the Hope Residence has not been used as a setting for photoshoots, commercials, television, or theatrical films. Instead, the Hopes used it almost exclusively for entertaining. For example, in 1991, the Hopes hosted several hundred veterans to the house to mark the occasion of the end of the Gulf War. Bob hope passed away in 2003 at the lofty age of 100. In 2013, following Dolores' 2011 death (at the even loftier age 102! ), the home was listed with an asking price of $50 million. At the time I write this, the home is still on the market with an reduced price of $25 million. Windermere Real Estate property listing.